Different life stages call for different insurance coverage especially when you own a home. A young single individual or empty nester does not need as much insurance coverage as a parent with young children. Learning the ins and outs of the basic insurance needs you may have is a good first step towards a solid financial education. As a young adult your financial responsibilities are usually few. If you happen to own a home, your insurance needs will be higher than if you are renting or living with your parents. If you have financial responsibilities like rent or a mortgage, you should have short term and long-term disability. This insurance will help ensure that you have a roof over your head should you get insured or sick and are unable to work. Life insurance would be minimum since you are not supporting anyone at this point in your life. You should opt to have a minimum term policy of $10,000 this would cover any funeral costs if the unfortunate happened. This insurance would keep your parents or other family members from going into debt to handle your final arrangements. If you own a home at this point it is unlikely there is much or any equity, but the sale of the home should take care of any open financial ties if you pass. As a young couple you have financial responsibilities to each other to ensure that you are taken care of incase one of you can no longer work or you pass. You are either renting or living in your first home. You and your significant other depend on one another to cover monthly expenses. You want to ensure that your partner is taken care of if something happens to you and you also want to make sure if you or your partner is unable to work that your financial responsibilities are still taken care of. You should have a life insurance policy to cover all financial burdens that you and your significant other share, rent, mortgage, car loans, credit card or other debt. Short term and long term disability are key to making sure you do not lose income if you are unable to work for a short period of time or if you become disabled and need long term disability. Consider adding a home warranty insurance plan to your monthly expenses. As most young couples do not have much in expendable income, this low monthly policy can help if any untimely expenses arise for the appliances or home systems in your first home. Young couples with children have the highest need for insurance. They are now the providers of not just themselves, but they now have dependents. If the couple is still renting, they do not need to have a life insurance policy large enough to pay off a mortgage, but they would want a policy large enough to help cover all monthly expenses if one parent passes. The transition from being a two-parent household down to one would take a great deal of time and stress. Removing the financial burden from your significant other is the best thing you can do for them if you pass. You will need short term and longer-term disability to help ensure your monthly expenses are covered if you or your partner is unable to work due to an injury. Consider adding a home warranty to your monthly expenses as this small monthly charge can help cover any repairs that come up in your home with your appliances or home systems. If you own a home you will need a life insurance policy that will pay off the mortgage, and all other debts and allow your partner time and resources to make life adjustments. For each child you should have a life insurance policy for a minimum of $5-$10k. Consider adding a cancer policy to help cover expenses that could come with missing work and caring for a member of your family while dealing with the illness. 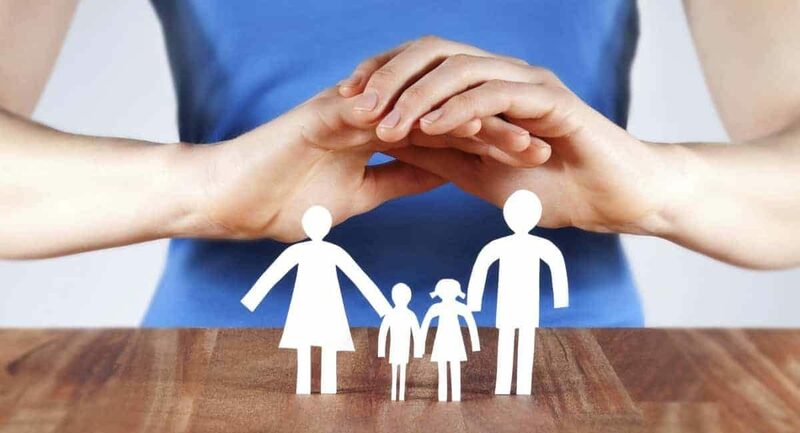 Have a life insurance policy and plan in place incase both parents pass and family would care for the children. The cost of raising a child and any life adjustments should be considered when deciding on how much insurance is needed. Couples with older children may not need as much life insurance as the amount needed to care for and raise the children has decreased. The above policies are still suggested. Once children are out of the home and are no longer being cared for by the parents, the life insurance policy needed to help raise the children is no longer needed. At this point whether or not you need a large life insurance policy may depend on your financial situation. If you are still living paycheck to paycheck, having a life insurance policy would be ideal to ensure that if something happens to you or your spouse neither of you are left saddled with debt. The need for additional insurance policies may not be as immediate as most people are planning toward retirement, extra funds should be going into investments to grow a retirement savings. Since most of any expendable income should be being invested consider keeping the home warranty on the home to keep you from having to worry about unexpected repairs with your home’s appliances and home systems. If you haven’t already sold your home and moved into a smaller home, consider adding the home warranty with the sale of the home. This makes the new buyers feel more confident in the purchase that the home they are buying has been well taken care of. After you have moved out of your home and downsized, you can consider downsizing on your insurance needs. Your children are grown and have their own life insurance policies; you do not need to have policies on them at this point. You may already own your home or have moved back into renting, so having a life insurance policy to pay off a mortgage is also no longer needed. You are living off of your retirement, so eliminating unnecessary expenses is key. Many adults in their golden years have already prepaid for their funeral expenses, so having a policy in place to cover that expense is no longer needed. You are living on a budget, so be sure to avoid any unexpected expenses at this point. You can keep the home warranty on your home and this will help keep your budget in line and you do not have to worry about the fridge going out or furnace. Focus on the beauty of retirement and relax knowing you are covered.